Veneers are made or either ceramic or composite resin material. You dentist will help you choose the material best for you based on strenght, stain resistance, color and appearance. Each type of veneer has its own benefits. When necessary, the dentist removes a small amount of enamel from the front and sides of the tooth. There has to be room for the veneer so that you tooth looks natural. Next, the dentist makes an impression of the prepared teeth so that the shape of the preparations and surrounding teeth can be copied in the dental lab. The dentist also decides on the veneer shade that will be best for you. The impressions are sent to a dental lab that custom-makes the ceramic veneers to fit your teeth. This may take several days. The dentist may give you temporary veneers to wear in the meantime. At the next visit, the dentist places the veneers on the teeth to check the fit and shape. After any adjustments, the teeth are cleaned and the ceramic veneers are then bonded to the teeth. Further changes may be made at a later appointment. 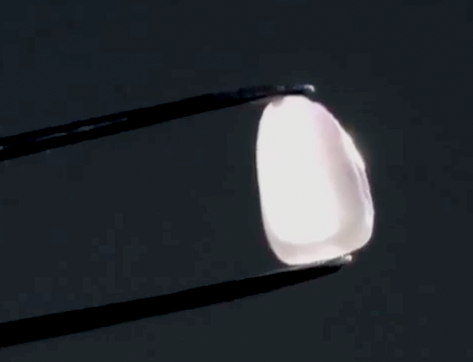 A composite resin veneer is made from a tooth-colored filing material bonded onto the tooth. may require removal of less tooth enamel than is necessary for ceramic veneers. may mean fewer visits to the dentist- sometimes these veneers take just one visit! may cost less than ceramic veneers. are easy to replace if damaged, although composite veneers are generally not a strong or wear-resistant as ceramic veneers, composite veneers are easily and quickly repaired. The beneer is smoothen and polished to look like a natural tooth. No special maintenance is needed other than good oral hygiene each day. Look for oral hygiene products that display the American Dental Association´s Seal of Acceptance. This tells you that the product has met the ADA´s standards for safety and effectiveness. Veneers typically require less removal of tooth enamel than crowns. Before a veneer is made, your teeth and gums must be healthy. Your dentist can treat any problem before your veneers are made. There may be a period of adjustment, a few days to a week, to get used to the feel of your restored teeth. Although veneers generally require little removal of tooth enamel, the process cannot be undone once the enamel is removed. Patients who clench or grind their teeth are not good candidates for veneers because the thin veneers may chip or break. If you clench or grind, your dentist may suggest a plastic dental night guard to be worn while sleeping, which can help reduce stress on the teeth. Veneers look like tooth enamel, and they can chip like real teeth. Avoid biting your fingernails and chewing on hard objects, such as pencils or ice. 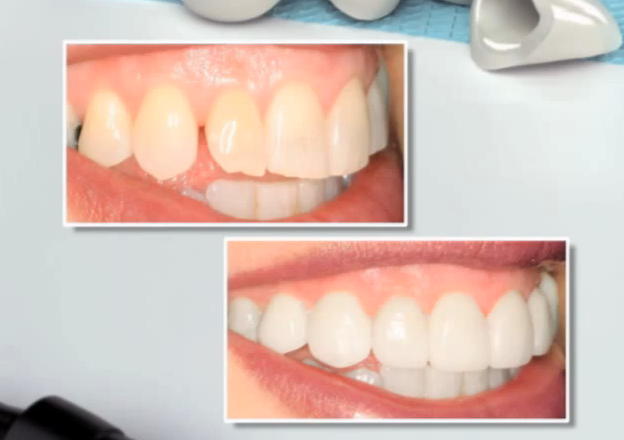 Like any dental restoration, it is possible, over time and with wear, for veneers to come loose. In that case, new ones might be needed. As with all your dental care, discuss all your expectations and treatment options with your dentist. Regular dental visits are a must for keeping your teeth and gums healthy.